hey blunder fans! i just launched the new blunderland compendium! this will have all the juice stuff of characters ,places , plants and lots more to help people as the books grow. i plan to work on it more when i have got to the end of book one and before we start book two! but in the mean time i will have a sort out and put up what i can. please sub and support! lots to do with these will upload them as I go but when done all the places of blunderland will be here for you to read about in this map section. 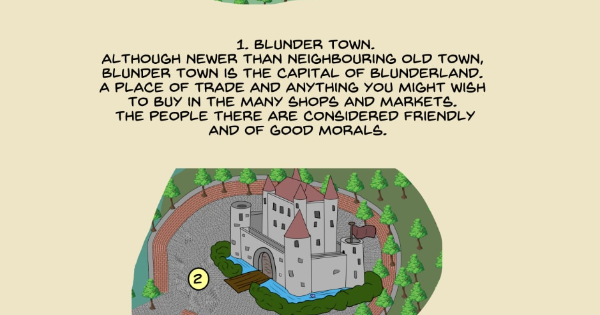 I'm starting to put up the map section so hope people will enjoy this and give reading the comic a second chance. in time im changing the bad start to the comic and hope more readers will come to enjoy my work. yesterday i spent a full day map making.